This prime 24(?) 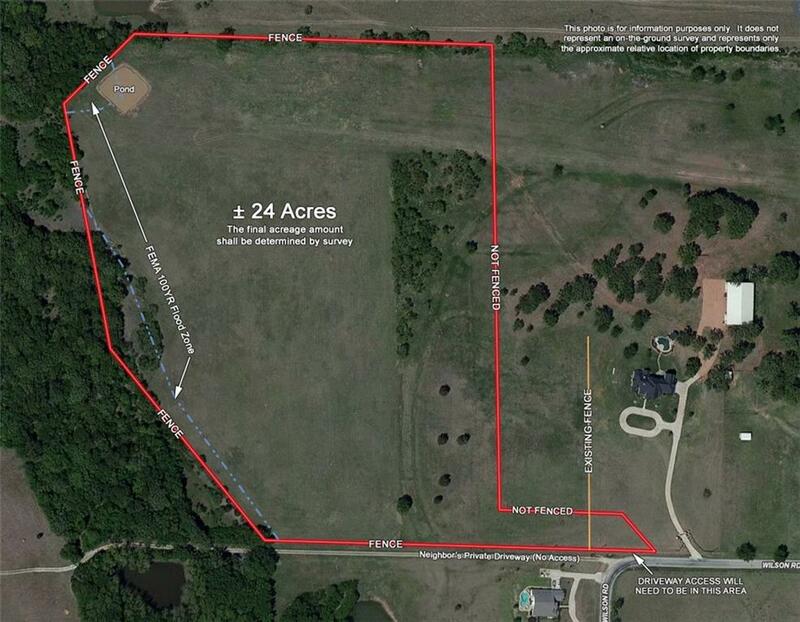 acre tract sets in a sought-after area of Pilot Point. Part of a 50-acre estate-style horse ranch, this property is partially fenced in pipe, has subtle elevation changes for character, a stock pond and a good sandy loam soil making it ideal for horses. There are several nice building sites around the property including a choice setting with panoramic views next to a grove of trees. Close to Jordan Creek State Park on Lake Ray Roberts & the developing Lone Star Lodge with proposed marina, Wilson Rd is a lightly traveled county road that is easily accessed from Fm455. Pilot Point is a popular destination for those wanting a small town atmosphere with a sensible location for commuters. Offered by Dutch Wiemeyer of Keller Williams Realty.